Just wanted to introduce myself as a new 91 C2 owner. I purchased for $14500. I bought it from a large wholesaler way out in the country. They sell around 20k cars a year. The car is in great conditon. 90k miles. Needs new shocks. Everything is stock. No reciepts but it does have log book with a porsche dealer stamp on it. Second owner had it since 8000 miles. It had a prebuyer inspection in 03 when it had 70k miles. Everthing including upper engine rebuild was preformed. A year later the valves were adjusted. After the rebuild the owner decided to keep it. Until now. 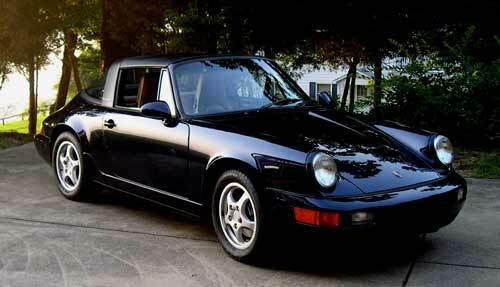 The car is straight all around and the targa top is in great condition. Hopfully all is well as it seems! Welcome! and PICS are mandatory. Congrats on a great deal and welcome. Welcome to the 964 board... Where are the pics? Pics are mandatory!! Hollingshead in Manheim, PA? Where are the pics? Congratulations and welcome to a great forum! welcome - looking forward to photo! The car is in the shop now getting shock and some small things taken care of. Mostly warning lights wich appear to be the alternator. Ill take pics this weekend. Thanks for the warm welcome.